The description of Visual Studies Workshop's Pub Fair fits my approximation of heaven: perusing tables of artists' books and zines, beer in hand, and chatting with indie publishers, DIYers, and other buyers. 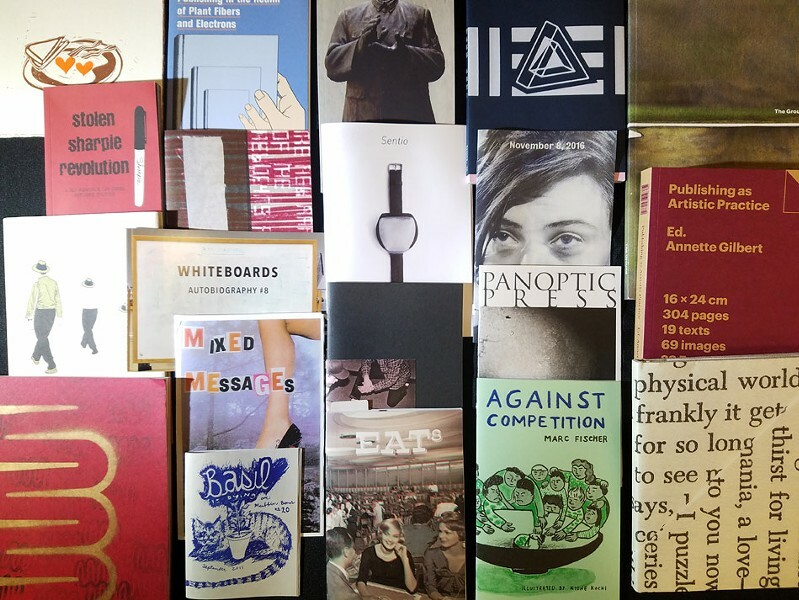 Now in its fifth year, the event will be held on Saturday, October 14, and will present more than three dozen vendors offering artist's books, photobookworks, magazines, zines, digital publishing, and resources. Writers & Books will also again hold a round of Litsplosion readings, workshops, and talks that will take place at the fair. And visitors can purchase beer and coffee inside, as well as fare from the food trucks parked on the lawn. The Pub Fair takes place from 12 p.m. to 5 p.m. in the VSW Auditorium (31 Prince Street). Admission is free. For more information, call 442-8676 or visit vsw.org.